Medical Conditions Hevin is autistic and nonverbal. Distinguishing Characteristics Caucasian male. Brown hair, hazel eyes. Hevin has a small scar on the bottom of his left foot. 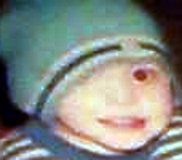 Hevin was temporarily in the care of his aunt, Tonya Sloan, in December 2005. His grandparents saw him alive on December 15, and Sloan was supposed to return him to his mother, Amy Ardella Jenkins, on Christmas Eve. On December 23, Sloan and Amy met and agreed to meet at noon the next day so Amy could pick up the child. Sloan never showed up, though, and avoided contacting her sister and other relatives for the next few days. On December 26, Sloan reported Hevin had been kidnapped. She said her car was parked at a BP gas station at State Route 34 and Hospital Drive in Hurricane, when the vehicle was stolen with Hevin inside it. The car turned up about 25 minutes later in a nearby parking lot behind Putnam General Hospital, but there was no sign of Hevin. Authorities didn't believe Sloan's story. When they confronted her, she said Hevin had had a medical emergency and died on December 15, and she and her boyfriend, Anthony Milam, had disposed of his body a few days later. They'd tied the body to a tire rim, put it in a garbage bag and threw it off a bridge into the Ohio River near the Ohio/West Virginia border. Both Sloan and Milam were charged with first-degree murder. Milam told police Hevin hadn't died of natural causes; he stated Sloan drowned the child after he soiled himself. Milam ultimately pleaded guilty to being an accessory after the fact in Hevin's murder, and was sentenced to a year in jail. Sloan pleaded guilty to second-degree murder and admitted to causing her nephew's death. She was sentenced to the maximum term of forty years in prison. Hevin's body has never been found, in spite of extensive searches. Foul play is suspected in his case due to the circumstances involved.